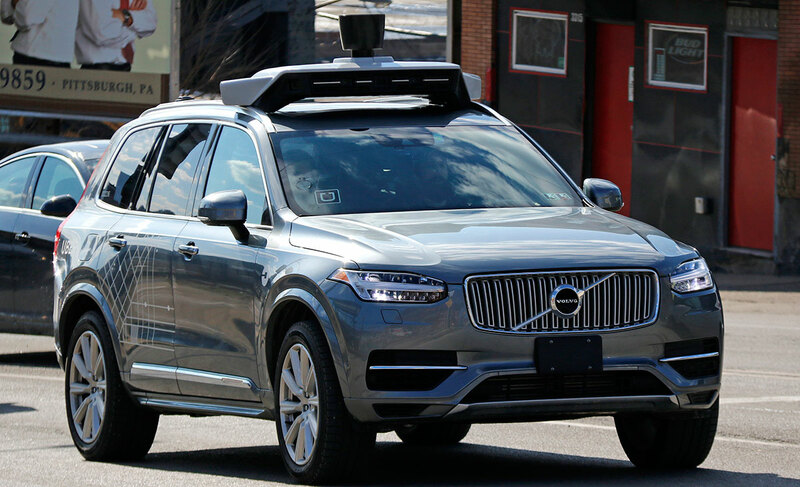 Arizona ordered Uber Technologies Inc. to stop operating autonomous vehicles on the state’s roads indefinitely after the death of a pedestrian there a week ago. In a letter to Uber Chief Executive Officer Dara Khosrowshahi, Gov. Doug Ducey called the March 18 fatal incident involving an Uber self-driving car “an unquestionable failure” to comply with public safety standards. Uber had voluntarily halted testing companywide after one of its vehicles hit and killed a woman in Tempe, Ariz. Ducey’s decision March 26 to designate a ban adds a significant hurdle to Uber’s attempts to get the program back on track. Uber has previously tested autonomous vehicles in California and Pennsylvania, in addition to Arizona. The company hasn’t said when it will start operating them on public roads again. “We continue to help investigators in any way we can, and we’ll keep a dialogue open with the governor’s office going forward,” Matt Kallman, a spokesman for Uber, wrote in a statement. Arizona is one of the friendliest U.S. states to auto and technology businesses looking for someplace to give driverless cars experience on public roads. A couple weeks before Uber’s fatal encounter, Ducey approved the use of autonomous vehicles without safety drivers — although the Uber car involved in the incident had a person at the wheel. Last week, Massachusetts quietly asked companies testing in the state to take a few days off the road. Most companies continued driving elsewhere. A video released by Tempe police showed the Uber car moving at a constant speed with no attempt to slow down or swerve in the moments before the collision. In recent days, executives from Alphabet Inc.’s Waymo and Intel Corp.’s Mobileye said their driverless-car software would have detected and responded to Elaine Herzberg, the woman struck while walking her bicycle across the road.